If you are a Samsung phone user you may be aware of the feature named “Smart Alert”, which will vibrate the phone when you pickup the phone. I have enabled this feature on my Samsung phone. This feature is a handy one when you pick up the phone from somewhere and put it in your pocket without noticing pending activities. 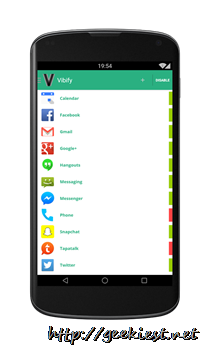 Vibify is an application brings the same feature to all Android Phones. Actually this application does a bit more than the smart alert. 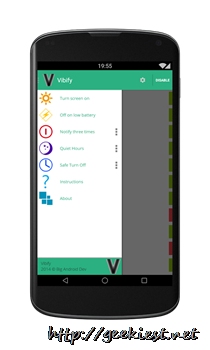 Vibify have a Free and a premoum editions available on the play store. The free edition have a limitation such that you can select a maximum of 5 applications. 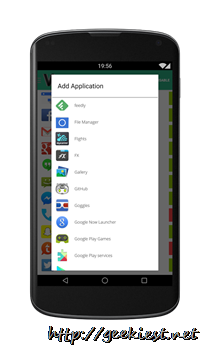 The vibify will list the supported applications and you can enable or disble it with just a click. You may also add other applications using the + button on the top.